Here are the merit badges being offered this year. If the scout will do what has been ask to prepare and do what is ask by the counselor during the pow wow, he can earn up to three of these merit badges during the course of the pow wow with two exceptions. The Family Life badge requires a 90 day log of home chores and the Personal Management badge which requires a 13 consecutive week financial log. This year, in order to provide more scouts the opportunity to participate in the Pow Wow, please register for a maximum of two eagle required merit badges. And remember to register for all three sessions from the full list of the offered badges. Those badges in bold are required for the Eagle rank. Use the links to the left of this page to explore the badge requirements, find the contact information for the badge counselor, and what the councelor will require for preparation in order to earn the badge during the Pow Wow. Each Boy Scout should take the following steps to earn a merit badge. Get approval and a "Blue Card" from your Troop to work on a specific merit badge. Contact the merit badge counselor. Do the work to satisfactorily complete all or part of the merit badge. Review with the Counselor the merit badge requirements you have completed. Bring your blue card. The counselor will initial and date the requirements he or she feels have been done satisfactorily. Once the entire merit badge is complete, return the signed blue card to your Troop. 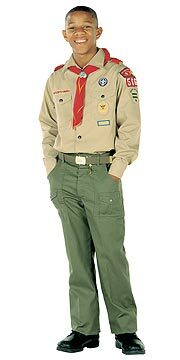 In keeping with BSA policy, merit badges may only be issued using an official BSA Merit Badge Application form (also known as "Blue Cards"). Extra cards will be available at the PowWow. Merit badge cards will be signed at the PowWow if all merit badge requirements are completed; otherwise, those who do not complete all the requirements should take their partially completed Merit Badge Application form to their local area leaders or follow-up with the Pow Wow counselor for completion.